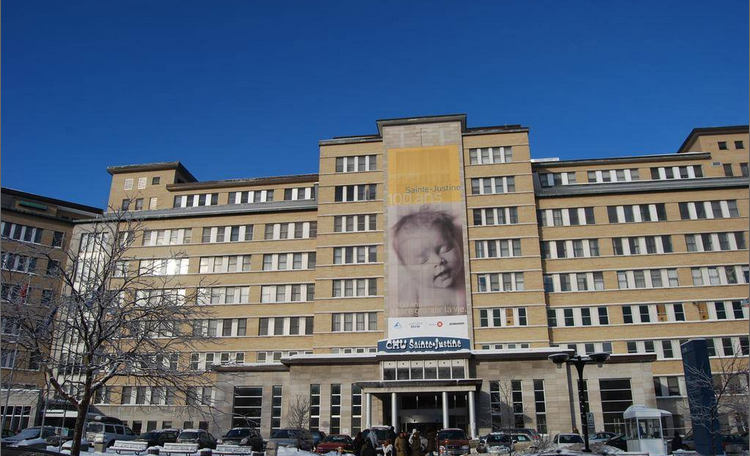 A research study at Sainte Justine’s University Children’s Hospital & Research Center in Montreal Canada was led by two prominent orthopedic surgeons, Dr. Christine Coillard and Dr. Charles Rivard to examine the differences in outcomes between adolescents with scoliosis that were not treated at all for their scoliosis and those treated with SpineCor. Scoliosis Natural Progression vs SpineCor from Brett Diaz on Vimeo. The study titled A Prospective Randomized Controlled Trial of the Natural History of Idiopathic Scoliosis versus Treatment with the Spinecor Brace divided a group of 68 teens who had been diagnosed with idiopathic scoliosis who’s curves were between 15° to 30° and were at high risk for progression into 2 groups. The Treatment Group were fitted for SpineCor braces while the Control Group received the common recommendation of just “Watch & Wait” and do nothing to treat the scoliosis. This allowed them to compare the natural history of scoliosis progression in cases that had gone untreated and compare the outcome to cases in the other group that had received SpineCor treatment. 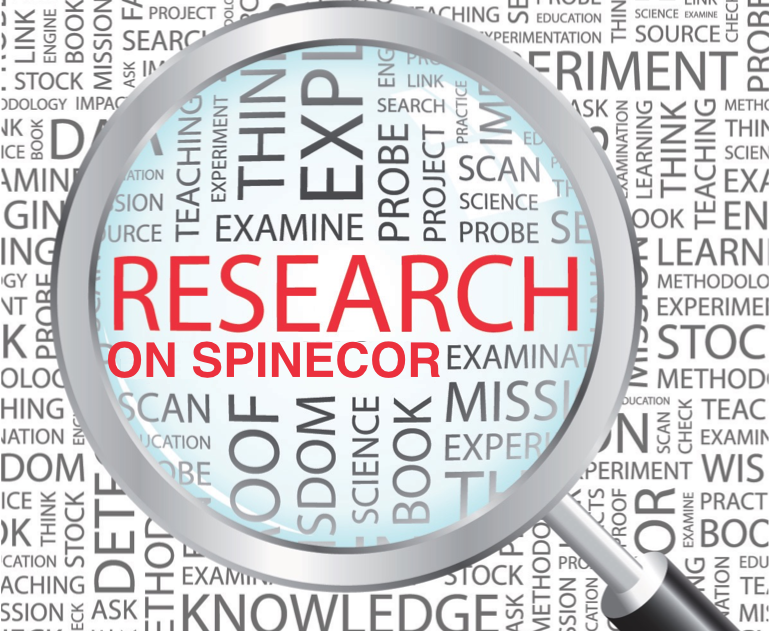 Researchers evaluated the differences in outcomes over a 5 year period between the 2 groups and at the end of the 5 year study the data showed that 50% of the SpineCor Group had improvement in their curves compared to only 9.5% in the control population. It also found that the untreated group had nearly double the rate of scoliosis progression vs. the SpineCor treated group. In fact because the parameter’s of the study that would not allow for children who showed progression to go untreated it removed them from the control group if they had a progression of more than 5° they would be removed from the study and provided with treatment. This study showed that for children with risk factors for progression were left untreated then the natural progression of scoliosis is likely to get worse in approximately 50% of these patients. 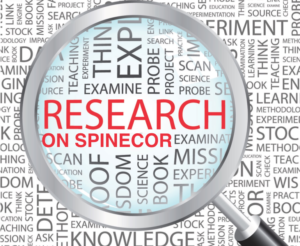 While those treated with the SpineCor brace were able to significantly reduce the probability of the progression, 73.1% of the time in early idiopathic scoliosis compared with its natural history. Extrapolation of the study data showed that had those untreated control subjects patients stayed in the study that the overall progression of the group would have be around 75%. That’s nearly three times the rate of scoliosis progression compared to those patients treated with SpineCor! The long term results with SpineCor treatment showed that 73.1% of patients had continued stabilization or further reduction of their curve after stopping treatment and was maintained over the long term. This makes SpineCor an effective long-term treatment for scoliosis that is best provided early on, when the curve is most correctable. This entry was posted in Research and tagged SpineCor on September 22, 2015 by Marc Lamantia D.C.. In scoliosis specific exercise there are 2 different camps of thought when it comes to strengthening weakened muscles to help stabilize the spine. One camp believes that only the deep postural muscles of the trunk that directly attach to the spine are necessary to activate, the other camp feels that both the deep postural muscles and the more superficial muscles that attach the spine to the upper and lower lower extremities are important to activate. A study done presented in the Spine Journal in 2004 titled Determining the Stabilizing Role of Individual Torso Muscles During Rehabilitation Exercises studied individual lumbar muscles in order to assess their potential stabilizing role by comparing and recording the Electromyography (EMG) activity produced by different skeletal muscles in both the deep and superficial layers of the spine. The results of their study revealed that spinal stability was not dominated by any single muscle group in the spine. Instead it appeared that all the muscles in the spine dynamically changed in their level of support to the spine as the tasks the body performed altered the position of the body as controlled by the nervous system. Based on these findings they concluded that the best strategy for enhancing motor patterns of muscles in the spine to promote stability of the spine would be best to activate the multitude of muscles involved in the action then just targeting a few of the deep postural muscles. This supports the long held belief of the Schroth Method that it’s important to take a “Whole Body” approach to rehab rather than artificially restricting the focus to only one area of the spine. This entry was posted in Research and tagged scoliosis exercises on August 28, 2015 by Marc Lamantia D.C..
Scoliosis is a genetic syndrome with a hallmark deformity of the spine, but it’s more than that. One way we identify genetic diseases is to study twin populations. Identical twins have the exact same genome, therefore genetic disease would be shared between the siblings, and that’s exactly what we see in scoliosis. However, these studies also show the severity of the disesse is variable, Twin studies have shown there is no question genetics play a role in developing the conditions, but differences in the direction and severity indicate there is more to it than just genetics. So what makes scoliosis get worse? Epigenetics, or factors beyond the genetics. Things like the environment and the health status of the individual. The environment can further be defined as the internal environment (metabolism) and the external environment (movement and posture). There is strong evidence that posture and movement are major factors influencing scoliosis progression. Newer science also supports hormonal, metabolic and neurological triggers involved in scoliosis progression. Our goal is to identify which trigger in which person may be a contributor to progression in that particular case. As you can imagine this is not easy to do, and requires a thorough history and exam in every case. This entry was posted in Research on November 9, 2014 by Marc Lamantia D.C.. The efficacy of Schroth s 3-dimensional exercise therapy in the treatment of adolescent idiopathic scoliosis in Turkey. Otman S, Kose N, Yakut Y. Professor, School of Physical Therapy and Rehabilitation, Hacettepe University, Samanpazari 06100, Ankara, Turkey. OBJECTIVE: To determine the effectiveness of 3-dimensional therapy in the treatment of adolescent idiopathic scoliosis. METHODS: We carried out this study with 50 patients whose average age was 14.15 +/- 1.69 years at the Physical Therapy and Rehabilitation School, Hacettepe University, Ankara, Turkey, from 1999 to 2004. We treated them as outpatients, 5 days a week, in a 4-hour program for the first 6 weeks. After that, they continued with the same program at home. We evaluated the Cobb angle, vital capacity and muscle strength of the patients before treatment, and after 6 weeks, 6 months and one year, and compared all the results. RESULTS: The average Cobb angle, which was 26.1 degrees on average before treatment, was 23.45 degrees after 6 weeks, 19.25 degrees after 6 months and 17.85 degrees after one year (p<0.01). The vital capacities, which were on average 2795 ml before treatment, reached 2956 ml after 6 weeks, 3125 ml after 6 months and 3215 ml after one year (p<0.01). Similarly, according to the results of evaluations after 6 weeks, 6 months and one year, we observed an increase in muscle strength and recovery of the postural defects in all patients (p<0.01). CONCLUSION: Schroth s technique positively influenced the Cobb angle, vital capacity, strength and postural defects in outpatient adolescents. This entry was posted in Research, Schroth Exercises on February 28, 2014 by strong-admin. 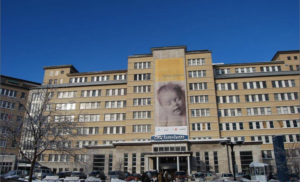 A study was done at the Research Center of Sainte-Justine Hospital and University in Montreal Canada which was titled Survival Analysis of a Group of 365 Idiopathic Scoliosis Patients Treated with the Dynamic SpineCor Brace examined the efficacy of the SpineCor dynamic tension orthosis (aka – soft brace) showed that the vast majority (96.2%) of patients in the study fitted for the SpineCor brace that completed the study were able to avoid surgery. Of the patients that completed the study 65.4% had a permanent correction of their initial Cobb angle, while 30.8% stabilized their Cobb angle and only 3.8% worsened without having to have surgery. This entry was posted in Research and tagged SpineCor on February 18, 2014 by strong-admin.